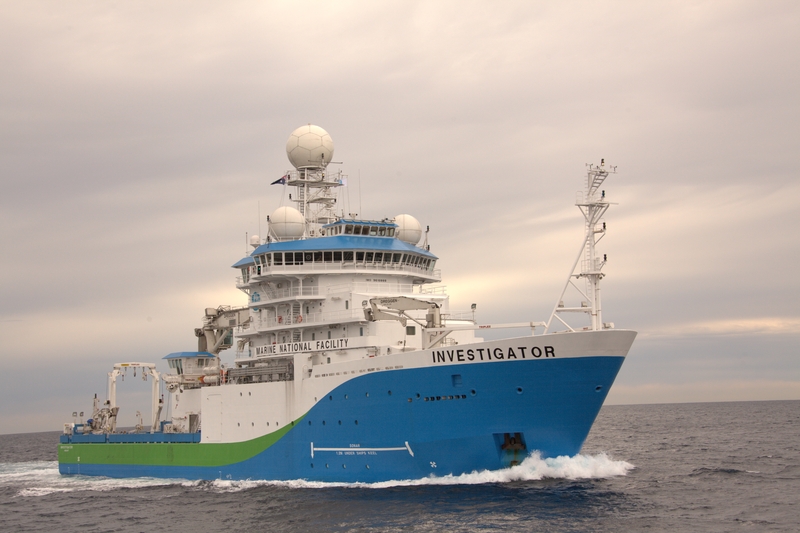 Researchers head to the seas off the east coast of Australia today on Australia’s new Marine National Facility research vessel, Investigator, to put in place ongoing measurements to track the vast volumes of water that influence our weather and climate. It moves massive amounts of water – each second transporting more than 25 million cubic metres of water, or 10,000 Olympic swimming pools, southwards. The waters in the Tasman Sea have warmed by more than 2oC, faster than other parts of the world's oceans. "Western boundary current regions, such as the EAC system, are highly variable and linked to large-scale ocean changes," Dr Sloyan said. These changes may result in subtropical marine species moving into temperate waters, altering the habitat of many species." 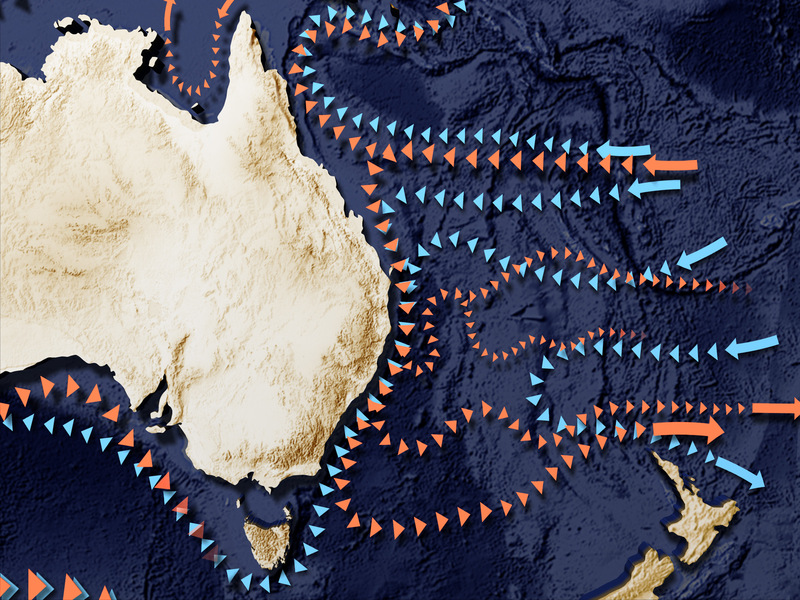 Major currents around Australia, including the EAC. Voyage leader Dr Bernadette Sloyan with RV Investigator. 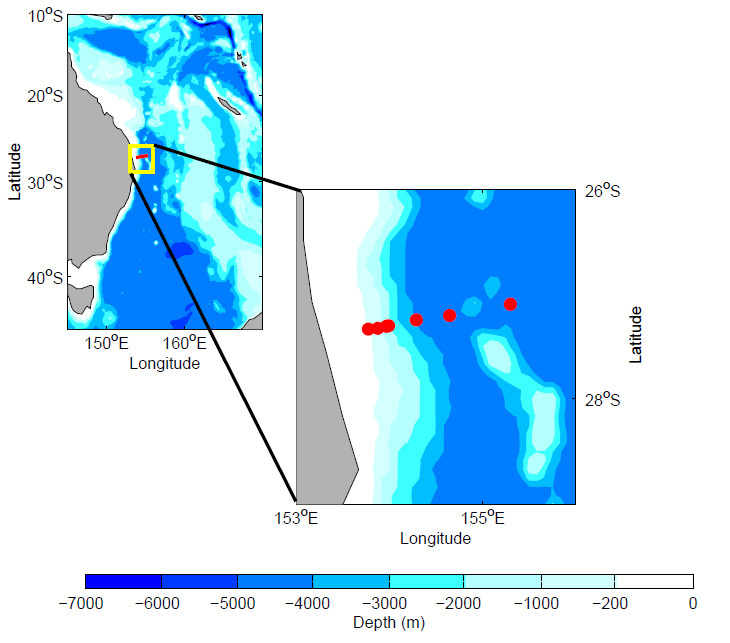 The locations of the moorings to be deployed for monitoring the East Australian Current.